The University of the West Indies (UWI) is a dynamic international institution, established in 1948. It has four main campuses- Mona campus (main campus), Cave Hill (Barbados), St. Augustine (Trinidad & Tobago), Open campus (Antigua). The university stretches across 1,062,000 square miles, of the sea from Belize in Central America to Trinidad & Tobago in the South Caribbean Islands. It is one of the Top Medical universities in the Caribbean, known for its excellence in teaching & research. In the years of its existence, UWI has evolved from one campus in Jamaica with 33 students to a full-fledged University with over 45,000 students, approximately 9000 graduates annually & more than 120,000 alumni. The university has produced leaders in every sphere of Caribbean development. 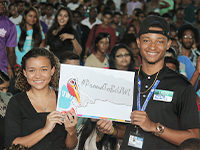 UWI offers about 800 courses and one of the finest medical courses in the Caribbean, with an extensive curriculum. It has experienced professors, lecturers, and physicians, who are responsible to teach the students for helping them achieve their academic goals & enhance their skills for better career opportunities. The University also maintains a good student-teacher ratio to allow the teachers to guarantee more attention to every student. It has a vast gateway of endless career and postgraduate opportunities around the globe. Moreover, it has collaborated on an international level, with over 60 universities around the world. From past years, the campus always focuses on expanding the graduate offering. It offers both, undergraduate and postgraduate degree options in Medical Science, Engineering, and Social Science, etc. 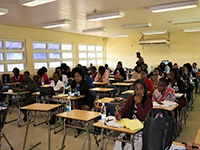 The UWI ensures that its governance, policies and daily operations are focused to offer quality teaching and best learning experience to the students. It aims to provide advanced learning to bring a positive transformation in their students. 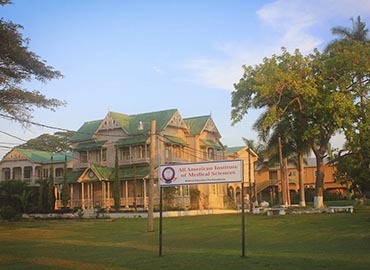 The University accommodates its students in three different halls of residence- Frank Worrell Hall, Philip Sherlock Hall and Keith Hunte Hall. All three residence halls are equipped with 24-hour security, free Wi-Fi, laundry facility, access to campus cafeteria and parking. The rooms are very spacious with a well-equipped kitchen, living and dining area, bathroom facilities. Student life at the University’s campus is very beautiful & learning experience for the enrolled students. Students will get exposure to diverse & vibrant communities with lots of opportunities. 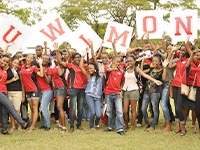 UWI is ideal for creating memories with hundreds of student clubs, campus events and dedicated student activity centres. Student service offices have been set up to support the students during their entire duration of studies. It assists students with financial aid, accommodation, mentoring programme, part-time/vacation employment. Every campus has its own library- The Alma Jordan at St. Augustine campus, Mona Library at Mona campus, UWI open campus library at Open campus and Sydney Martin Library at Cave Hill to facilitate the students. Kingston is the capital of Jamaica & also the largest city in the country. Kingston is believed to be the largest English- speaking city in the Americas. Founded in July 1692, earlier Kingston only depended on agriculture for economic growth. Kingston plays a pivotal role in Jamaica’s economy. The main economic sectors of Kingston are tourism, exportation, clothing manufacturing & shipping. As Kingston lies on the dry part of Jamaica, it has a tropical climate throughout the year. Some major attractions of Kingston are Bob Marley Museum, Blue Mountains, Fort Charles, Lime Cay, National Gallery of Jamaica, etc. Some famous delicious dishes of Kingston are Jerk Chicken, Goat Curry, Jamaican Red Peas Soup, Sorrel, etc. Some well-known restaurants in Kingston are Wooden Heads Gourmet Pizza, Harper's Burger Bar, Tamarind Indian Cuisine, Saffron Indian Cuisine, Mystic India, etc. Buses, Rails & sea transportation are conveniently used by the natives and tourists.